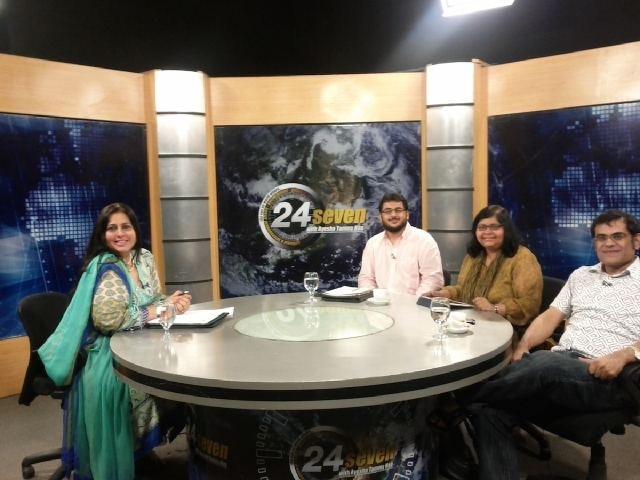 In May of last year (2011), I was invited by Tammy to be a guest on her show “24×7 with Ayesha Tammy Haq” to speak on the topic of Internet and Social Media in Pakistan, particularly in the light of the recurrent Facebook ban case that was being contested in the Lahore High Court. The program was aired live on May 18, 2011. Fellow guests on the show were Jehan Ara, President of P@SHA and Raza Ahmed (aka Raza Rumi) who is a writer and an editor for The Friday Times. The program went very well and we decided to do a follow-up on the same topic which was aired on May 20, 2011.